Gary Gillespie has paid Virgil van Dijk a fantastic compliment. The former Red, who won three first division titles as a Liverpool player, the last of which was in 1990 – reckons that on talent alone – our Dutchman is above John Terry, Rio Ferdinand, Jaap Stam. However, Gillespie acknowledges for van Dijk to be considered truly ‘great’ he needs to win trophies on a regular basis and do so for plenty of years to come – with longevity and silverware a part of any top players’ legendary status. 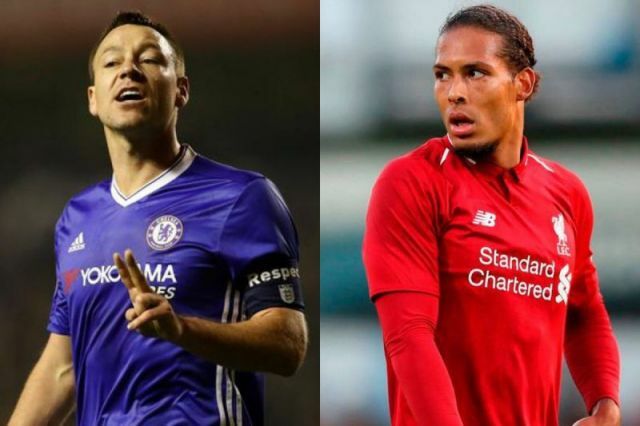 “I’ve been asked a lot in recent weeks: Just where does Van Dijk stand in relation to the likes of John Terry, Rio Ferdinand, Jaap Stam?” he told the Mirror. “Honestly, ability-wise and technique-wise I would put him top. He’s got absolutely everything. “But to become a living legend you have to be successful and win trophies and medals on regular basis, not just a one-off. We think Gillespie’s comments are spot on, to be honest. Based on sheer ability and form this season, van Dijk is the best central defender we think we’ve seen play – but he and his team-mates need to back that up by winning competitions. No matter how impressive a side Jurgen Klopp has curated, it’ll always be criticised until it wins the big trophies. Last season we came within inches of Champions League glory, losing to Real Madrid in the final. This term, we’re four points clear at the top of the Premier League table, but have Manchester City, arguably the best side in the history of English football, breathing down our beck. If we’re to stay ahead, van Dijk is going to have to keep it up until the summer.